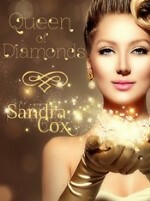 I met Sandra Cox about 2 years ago via my blog, and she is nothing short of phenomenal and fun. Not only is she a prolific writer, but she's good at lots of really neat stuff and has a wicked sense of humor. Here's a little more info about her book for your reading pleasure at the beach this weekend! Sandra’s a vegetarian, animal lover and avid gardener. She lives with her husband, their dog and several cats in sunny North Carolina. Besides paranormal, she also writes historical and time-travel romance, young adult fantasy and non-fiction. Don't forget today is National Donut Day, and there are lots of freebies and bargains available. Check in your neck of the woods for possible deals. Many thanks for this RO. Do you know you can make low carb donuts! Happy June, and have a great weekend too. I did not seeeeee that!!!!!!!! Can't eat 'em, anyway. Have to eat G/F. Sandra is a fantastic author and a wonderful and friendly blogging friend! *sobs* I have not had a donut! This sounds good and yay for supporting a local author. Geez Ro, now I NEED a donut! I actually "met" Sandra before I met you. 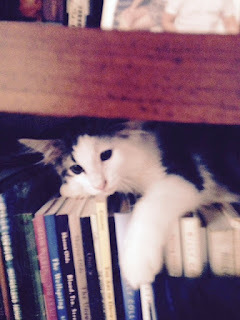 She is a wonderful author, and is one who cares for animals, especially cats. Her books always interest me, and my friend Sally bought one of her books based on my recommendation. Thanks for this profile, RO! Thanks for the kind words, Elizabeth. I actually went with the kids and the HH to a burger joint Friday night where I got a......black bean burger! Yay! Cool stuff! Dang, I missed the donut thing! Hooray for Sandra (who will feature on my blog next week). I really, really don't like doughnuts - so please feel free to eat my share. Sandra is delightful and I've read a couple of her books. Aww, thanks, Andrew. I appreciate you reading my work. I'll have to check out some of her books. I love time-travel romance books. Thanks, Angela:) I love time-travel too. In fact, I'm editing one now. Oh this sounds fun and now I want a donut! Thanks, Katherine. Right there with ya on wanting a donut. Oooh vampires. I do like a good vampire book. Hey, Ro, thank you so much for featuring me. (You're better than chocolate.) And on donut day! 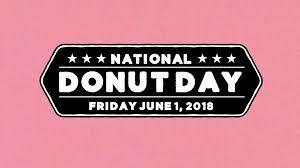 We went in to see the Grands Friday and my daughter-in-law and I were both bemoaning that we didn't remember Donut Day till Saturday. Sigh. And they have Ducks Donuts there too. Double sigh. Thank you, Debbie:) Much appreciated. Oh National Donut Day! Woopee!! :))) I love donuts! I'm attempting to try to make some at home and failing horribly lol...but...I did manage to perfect the cinnamon "cinnabun" type of donut! I love that froggie in the garden!! That frog is my favorite too, Rain. Sandra is a very kind person and an amazing writer! I am honoured to call her a friend in blog land! I missed donut day! Can I have one today? LOL! Nice to hear about the visit! Good book having many things in it! Sandra garden looks colorful and also funny! Nice to hear about the Donuts Day. It's been a while since I've read any PNR. love the kitty pic and NC has become one of my favorite vacation spots. That kitty keeps us on our toes. Glad you like NC, Karen, it does offer a lot to do on vacays. Thanks for sharing that excerpt. Really enjoyed it. And man, I wish every day was National Donut Day. My boss treated the office to fresh, warm Krispy Kremes and it was absolutely wonderful. Okay so a vampire trying to be a vegetarian, as it were? I love that... and this sounds like a very fun book! Thanks, Greg:) Appreciate the kind words. Oh my gosh, that frog is awesome! I love it. It makes me want to get something that adorable for my yard. Big congratulations to Sandra! The frog was a Mother's Day gift from the HH. Sorry so late reading your review! 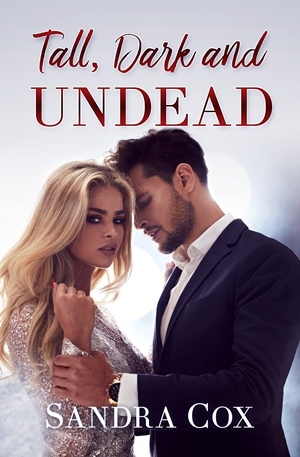 I can't really pass up a good vampire romance. I'll be running to Amazon. Thanks for putting this on my radar! Now, that does sound like a fun one. Neat how she writes in all those genres. Love that she's into gardening. Sandra has this really fun personality that I adore. Sounds like a fun read! Even if I'm not generally a vampire aficionado. I do like the vampires in Deborah Harkness's All Souls Trilogy. And Cian in Nora Roberts's Circle Trilogy. Gorgeous roses! And herd babe :) A beach read sounds nice with this heat we're having! This sounds like a fun book. I might need to check it out. Me again:) Hope your weekend is as wondrous as you, Rockin Ro.